This is a super creative idea & product designed for Imu Design by Johanna Hyrkäs, a Finnish architect and artist. Imu Design is a self appointed National Design Team that represents young Finnish and Helsinki-based designers in international exhibitions and works as a mediator between young designers and the public. 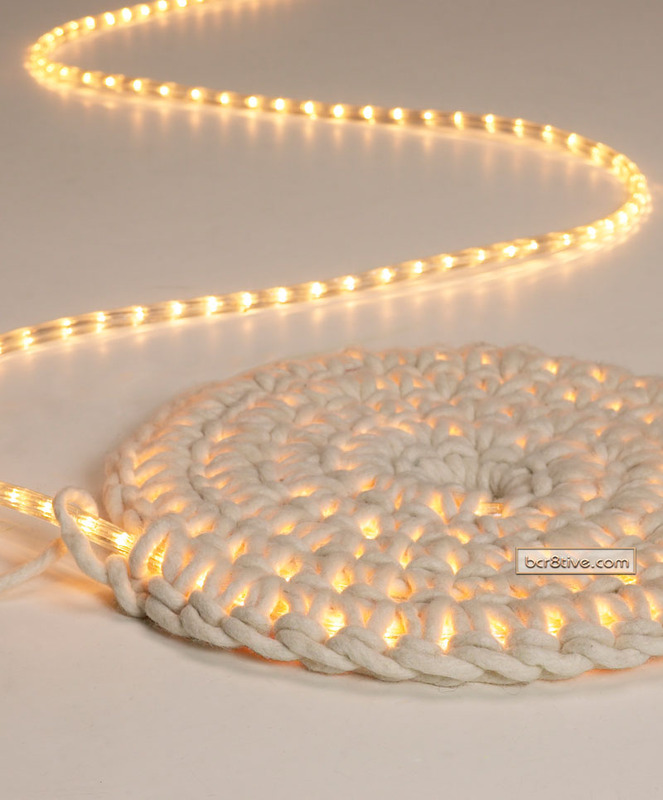 This is a light rope that has been crocheted over to form this circular ‘carpet’. I think it would look really pretty as a wall hanging too.